I’d be lying if I said getting used to all these changes was easy. but living in Arizona, learning to be an Army wife, trying to make new friends & working from home has been tricky. If I’m being entirely honest, I’d say that I’ve been feeling a bit isolated. That doesn’t mean that Ryan and I aren’t having an absolute blast though. We started our juice cleanse on Friday the 14th, and I failed on Friday the 16th. My blood sugar was just way too low, so we’re still juicing, but I’ve added some healthy proteins. 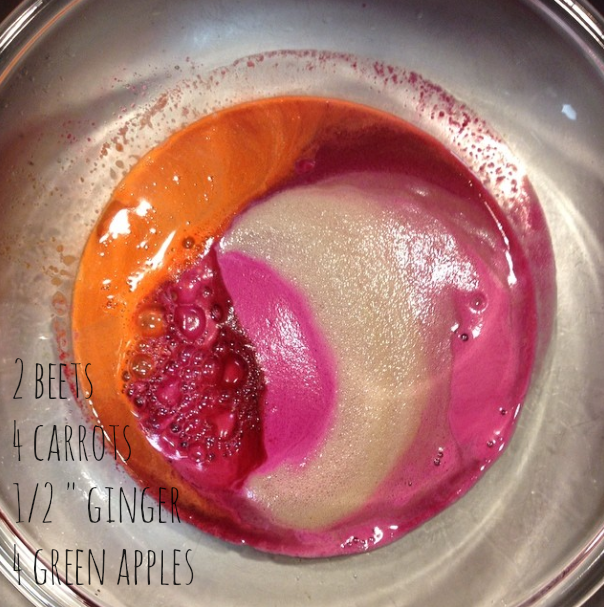 Our concoctions have been colorful, delicious and nutritious though! For Valentine’s Day, Ryan hired a masseuse to come to our brilliantly unfurnished house to give me a massage. It was a sweet, thoughtful and loving gesture because he knows how stressed I’ve been. which means his hours for the next month will be from midnight to 8 AM, when he’ll have PT. but I also know that it’s harder on him than it is on me, so I need to be strong. This is going to be a year of changes – good and daunting. all of which should make all these transitions a little bit less insane. We also booked a cruise this weekend. we decided a Mexican Riviera cruise was in order for late April. and it gives us something to look forward to, as well. and I promise I’m really not down. I am so lucky and so blessed.